It’s only a matter of time before we put astronauts on Mars, but there’s plenty of research to be carried out in the meantime. MarsVR could be the perfect way to explore the red planet. The race to Mars is firmly on, but before we can send colonies of people off into space there needs to be a lot of training, and replicating life on Mars is neither cheap or easy. That’s where MarsVR comes in, with the non-profit Mars Society creating a virtual reality world to support the Mars Desert Research Station (MDRS) program. The result is innovative, relatively affordable and practical, and could also result in us regular globelubbers being able to explore Mars as well. We’ve been talking to James Burk, the Mars Society’s IT director, to find out more about MarsVR. “We want to build an engineering-grade VR tool for three purposes,” Burk explains. “We want to support the Mars Desert Research Station program via crew training, offer a public outreach platform to tell the story of what we’re doing, and provide a great tool for STEM Education. MarsVR is a crowdfunded platform created by the Mars Society, which was founded in 1998 with the aim of furthering the exploration and settlement of the red planet. It’s a society with several thousand members and chapters around the world, and Burk explains that experts in different fields have been brought in to help work on MarsVR. “Last year, I had the opportunity to go to JPL (the Jet Propulsion Laboratory) and see what they are doing with the Curiosity rover data, bringing it into the Microsoft Hololens VR environment every day and using Hololens to review the landing site for drilling targets and further exploration. While one of the initial goals of MarsVR is to help with training, the project also aims to bring exploration of the red planet to the masses, and that means people without VR headsets will be able to benefit too. 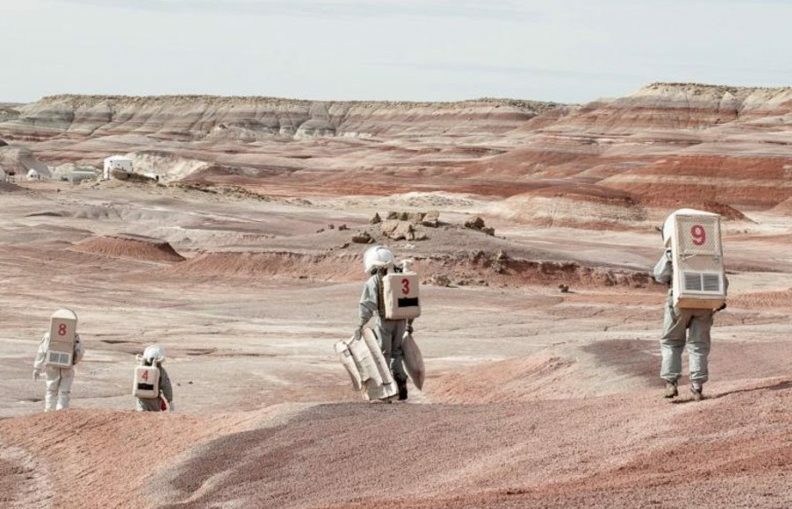 MarsVR also has some exciting plans for the future, and although the project is currently scanning Utah desert in a bid to recreate the red planet, as part of the next phase we could be interacting with images from Mars itself. “We want to build a Mars globe in VR with all the named features and landing sites tagged,” adds Burk. “You point at the globe and it zooms all the way down to surface level and you can walk around there. It’s a long-term vision but one we see as technically possible by using existing NASA (and other) data. It looks like MarsVR could play a key part in the future of the colonisation of Mars then, and if it means that regular people can also enjoy an interactive part of the process, we can’t wait to see what happens next. This article was originally published by RedBull.